An all natural Bio-Probiotic product which works fast and provides instantly available essential nutrients important in the maintenance of a healthy gut until any disturbances fade and good alimentary microbial populations resume. 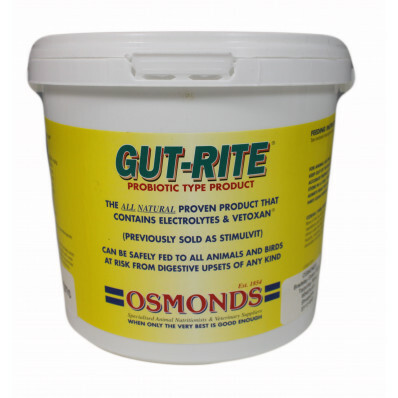 Osmonds Gut-Rite is an extremely effective all natural Bio-Probiotic product to help maintain a healthy digestive system. Gut-Rite contains Vetoxan® to help maintain a healthy digestive tract and Nutrimin® to remove any build up of toxins from the system and to slow down the passage of feed through the gut. 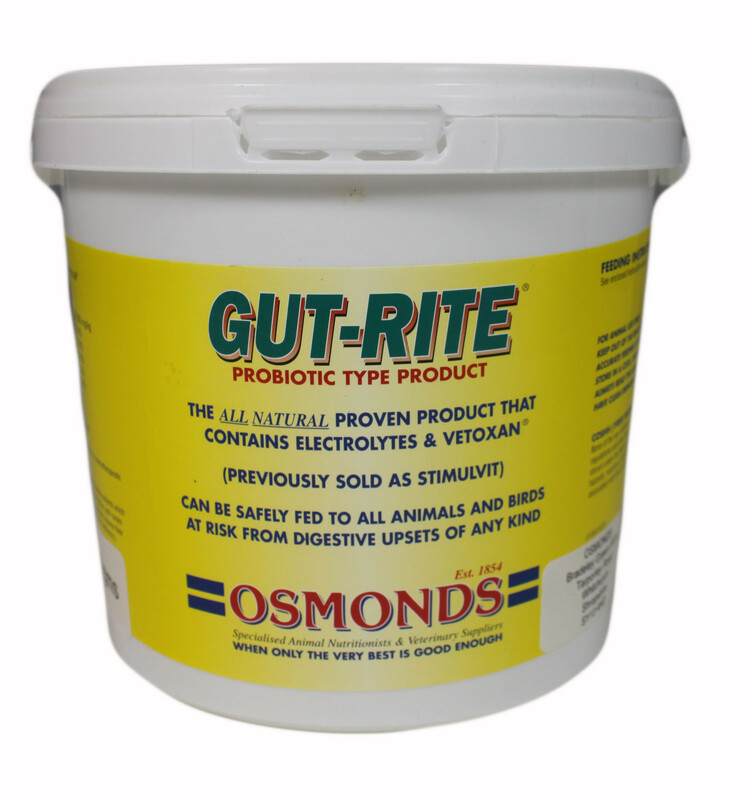 Osmonds Gut-Rite is a valuable aid to stock people when travelling, showing or selling livestock. It contains added electrolytes to help effective recovery. Ideal for periods following stressful situations.